February 20, 2018 – What Trail Are You On? Most people I know enjoy a nice hike in the woods. 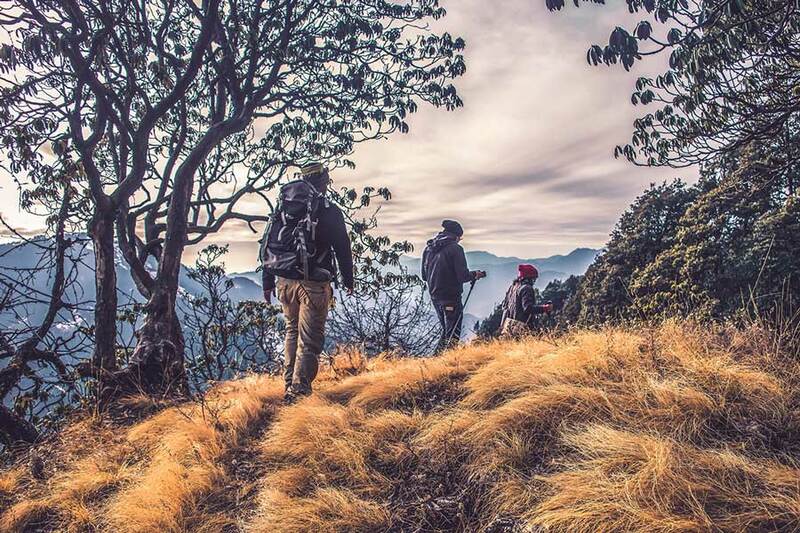 There is something about trekking in the forest and getting away from all the synthetic stuff and paved roads that breathes life back into a man’s spirit. The hiking experience is a great metaphor about life. In most remote hiking areas, it is very common to start down a trail only to find that leaves, pine needles, and/or erosion can camouflage the main trail. If you don’t really know the area well, or aren’t paying attention to your direction, you can easily get off track. Sometimes a well-used animal trail can also lead you astray. Animals most often don’t use the same hiking trail provided for humans. They will develop their own trail network that usually leads to their food and water sources or bedding areas. A novice trail user can inadvertently follow the game trail instead of keeping to the over-grown hiking trail. Occasionally, this leads to people getting lost in the woods. The resulting frustration, confusion, and sometimes fear is rarely a fun experience. And then there is the trail clutter we find along the way. A person needs to be attentive to the loose soil, tripping hazards, and potholes that uniquely conceal themselves on the track. Too often a nice hike turns into a turned ankle or scrapped knee because someone trips on an unexpected hazard. Life is somewhat like taking a long hike on an unfamiliar trail. As we journey through life, there are those unexpected snares and hazards that can trip us up. The snares can be the moral traps Satan puts in our path. Maybe it’s worldly temptations that come our way and cause us to stumble. Perhaps an illness or accident can send us out of control. Finally, if you really want to have the best experience possible, you need a guide to show you the way. A good woodsman can help you find the most direct route to your destination. He can also alert you to possible hazards along the way. As we journey down the trail of life it is good to remember that God is with us. The Holy Spirit is our best Guide, the Bible is our unfailing GPS and topographic map, and the fellowship of a good friend can be our encourager. By day the Lord went ahead of them in a pillar of cloud to guide them on their way and by night in a pillar of fire to give them light, so that they could travel by day or night. Exodus 13:21 reminds us of God’s presence. Have you sought him lately? What are the hazards and tripping obstacles in your life? What can you do to avoid those stumbling blocks?